Creative magician Geraint Clarke is touring will present his new lecture Polymath on Thursday 2 July. His unique style of impromptu miracles using everything from borrowed phones, playing cards and even chewing gum has been widely praised, with some of his miracles being used by TV magicians all over the globe. Polymath is a lecture packed with Geraint’s original take on impromptu magic for magicians or hobbyists of any skill level, and contains some exclusive new effects that are yet unpublished. 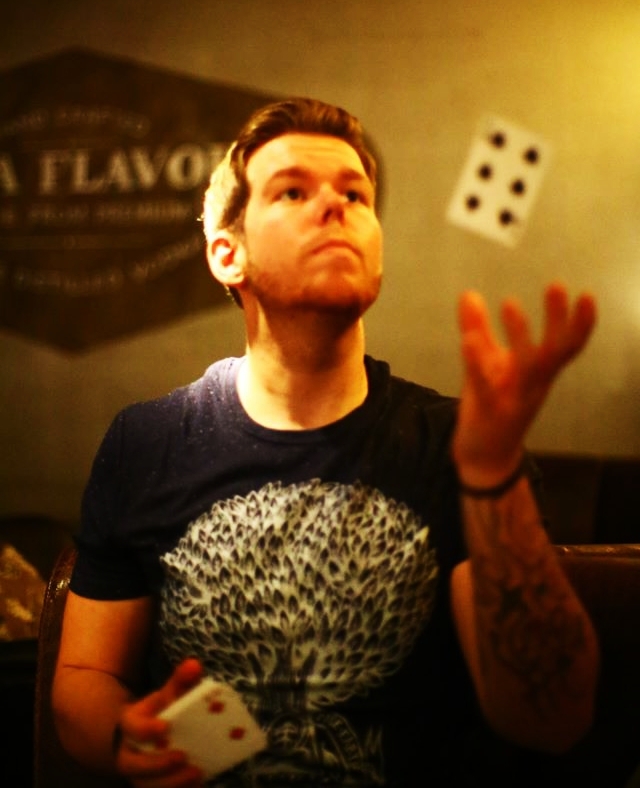 Chris Kenner has described his work as “Awesome” (a widely used term in North America which indicates praise and not to be confused with the standard dictionary definition); “…a creative rising star in magic” Daniel Madison; “…Great Stuff!” David Copperfield. “Magicians, take note! Geraint Clarke is very good!” Ben Hanlin. The lecture is free to Sheffield Circle members and £10 to non members (junior magicians £5). It will begin at 7:30 pm at the Magic Lounge, 82 Broad Street, Sheffield, S2 5TG. Doors open at 7:00 pm with our well-known alacrity..